(Left) Daffodils make beautiful cut flowers; (right) Park Seed sells this cheery daffodil bulb mix. 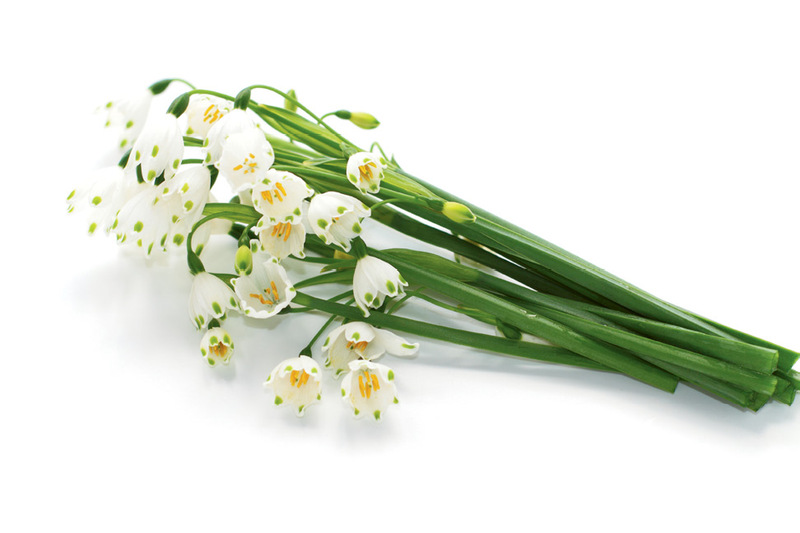 Pick a pretty November day and invest in a springtime treat by planting a crop of flowering bulbs. Only have pots or window boxes available? Not a problem: bulbs store nutrition without a large root system, so they’re great for small spaces. When selecting which kinds to plant, think “collection.” For example, multiple varieties of daffodils will not only create more interest in the landscape, but also in a bouquet. Be aware that many bulbs, such as tulips and hyacinths, require a 12- to 16-week chilling period—this forces dormancy so that a bloom may be produced in spring. In the sultry Lowcountry, you can simulate cold weather by refrigerating them in a dry, well-ventilated space away from fruit (which emits ethylene gas). If that sounds like a step you’d prefer to skip, look for pre-chilled bulbs, or simply stick with options that do not require cooling, such as daffodils and summer snowflakes. As a general rule of thumb, bulbs should be placed at a depth of three to four times their width. Choose a site with excellent drainage and full sun to part shade, remembering that the ground beneath deciduous trees is fair game, as these early bloomers will appear before the canopies fill with leaves. To get the most blooms for your buck in the New Year, remove flowers as they fade—this prevents the plant from using valuable energy to set seed. Green foliage is still providing nutrition to the bulb, but once the leaves turn brown, you can clip them off. Your collection will grow each year until it may finally appear overcrowded. That’s when you dig in, divide the clumps, and share some springtime joy with a friend. TIP: Fill out beds of bulbs by interplanting low-growing annuals like alyssum, linaria, and violas. This will help control weeds while giving your garden more color after the bulb blooms have faded. Prefer to directly sow seeds? Try a premixed seed selection made specifically for bulbs.